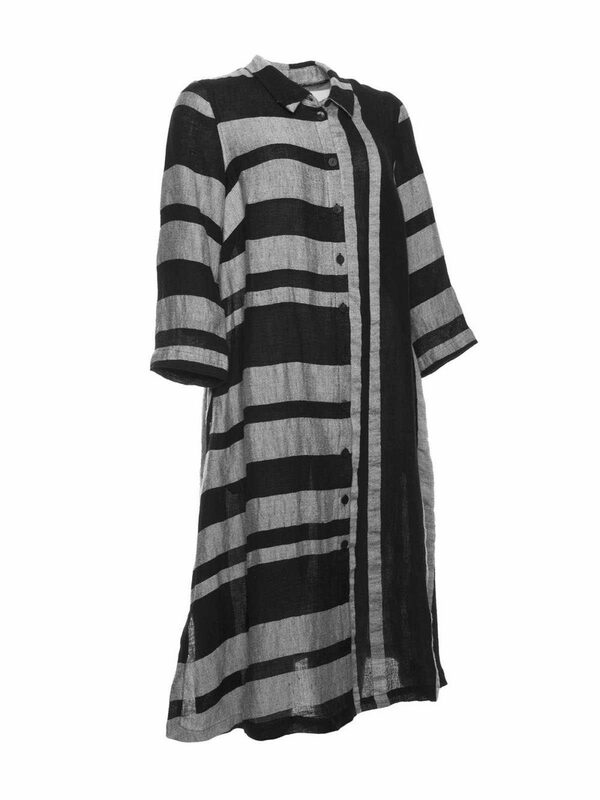 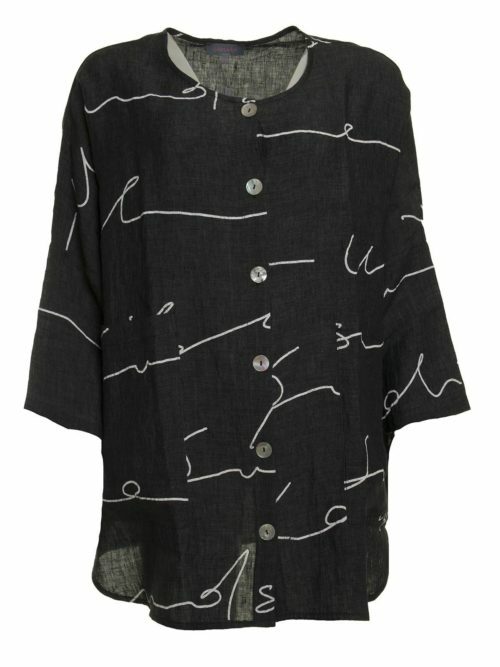 Sahara black and grey striped linen shirt dress. 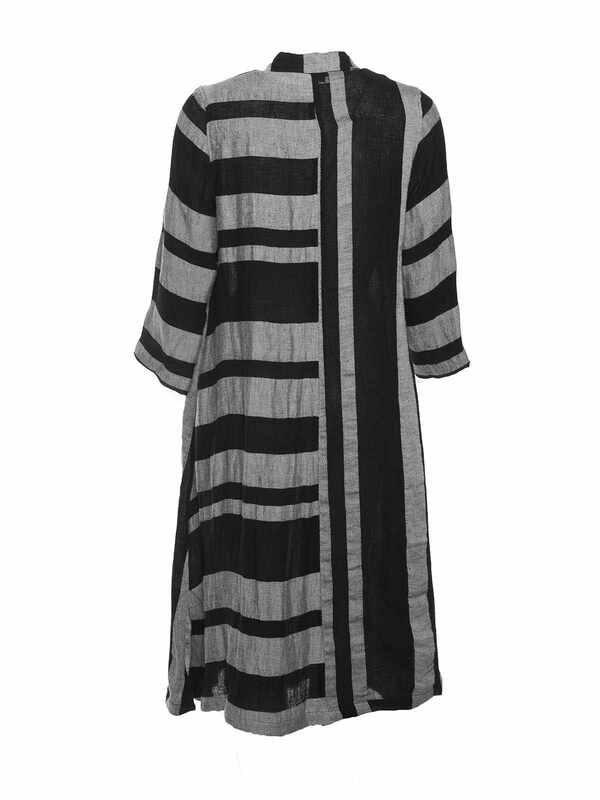 Katie Kerr Sahara Linen Stripe shirt dress in black. 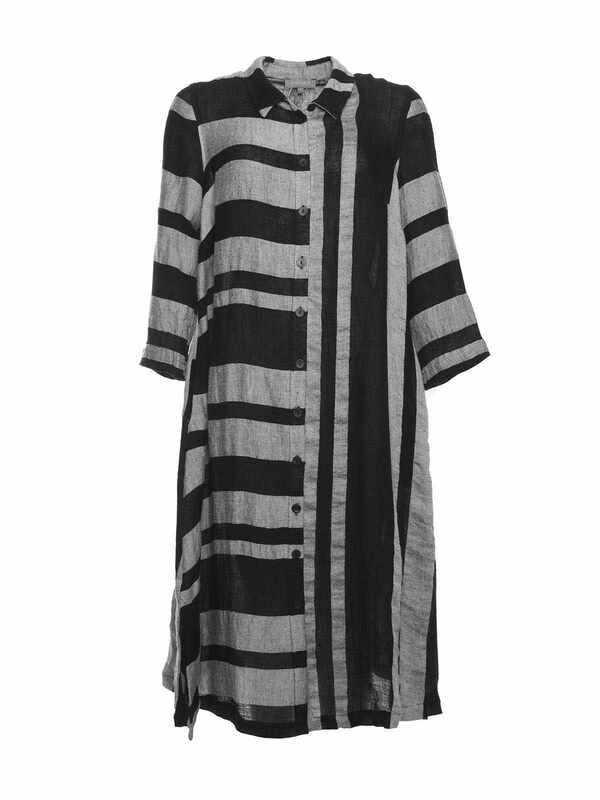 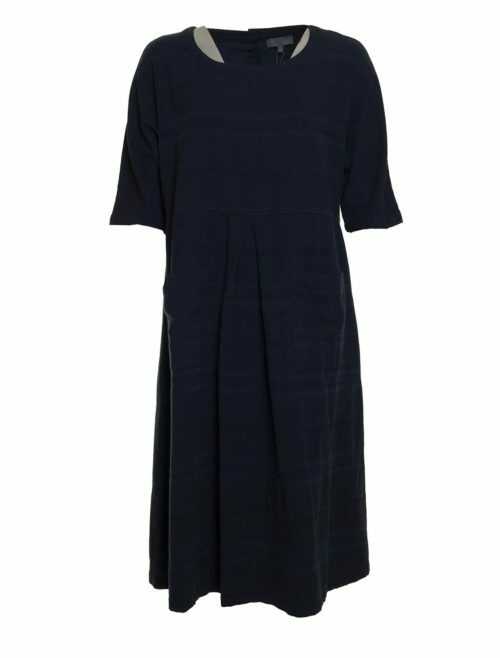 Crafted from black and grey marl linen, in a striking horizontal and vertical stripe, this stylish shirt dress has an A-line cut for a loose, relaxed fit. 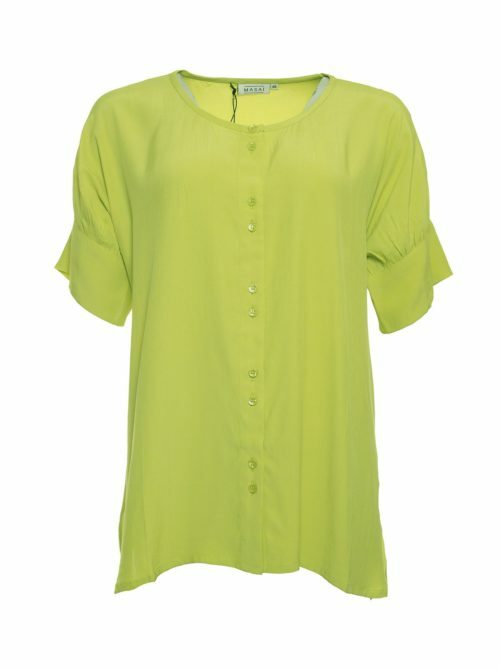 It features side pockets, single breasted button fastening, three-quarter length sleeves, and 20cm side vents. 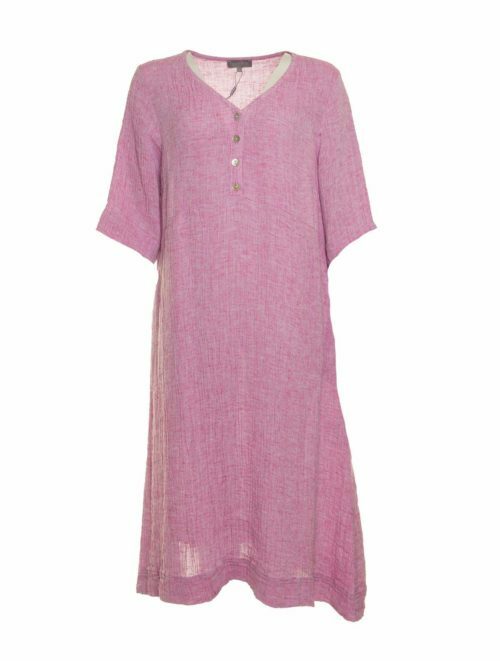 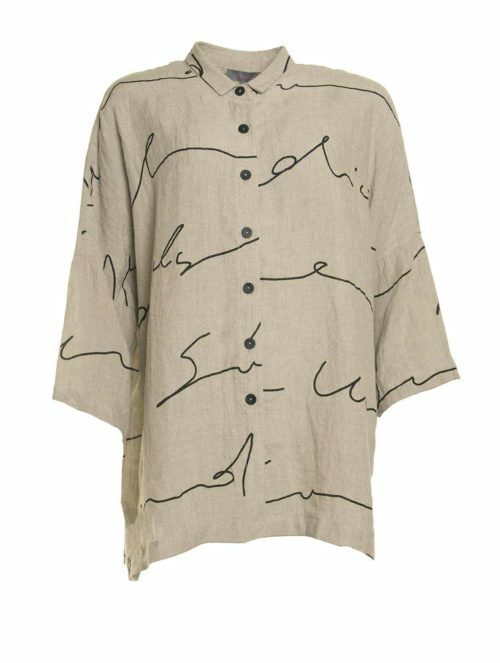 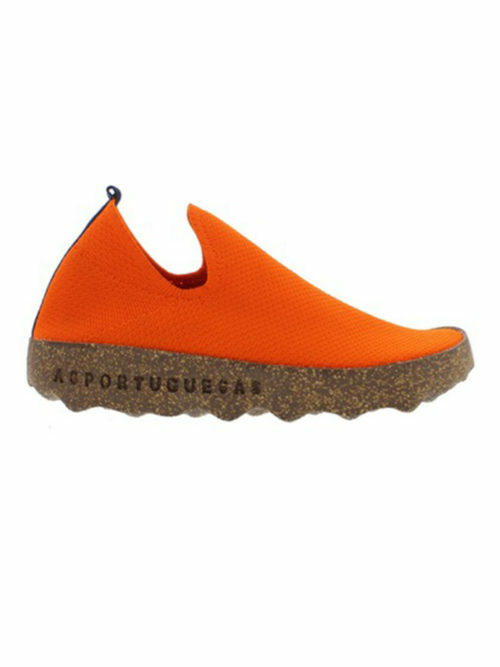 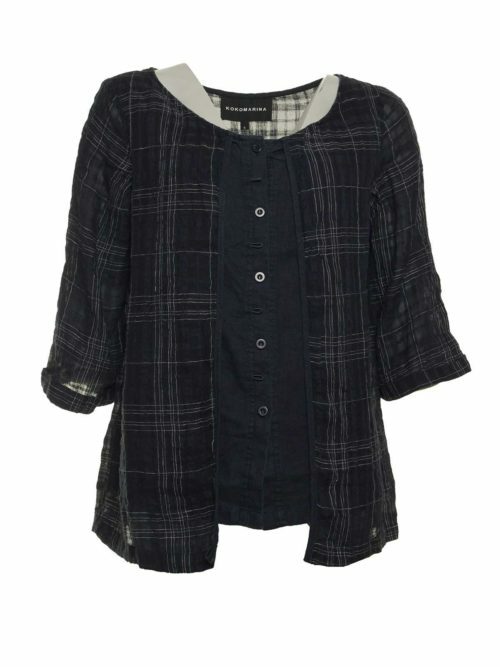 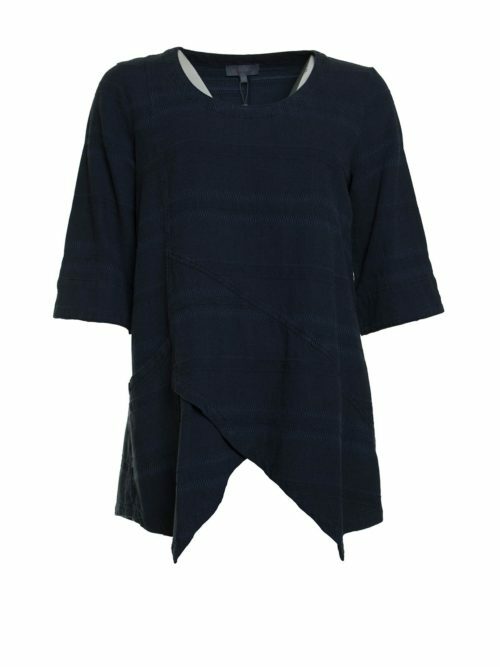 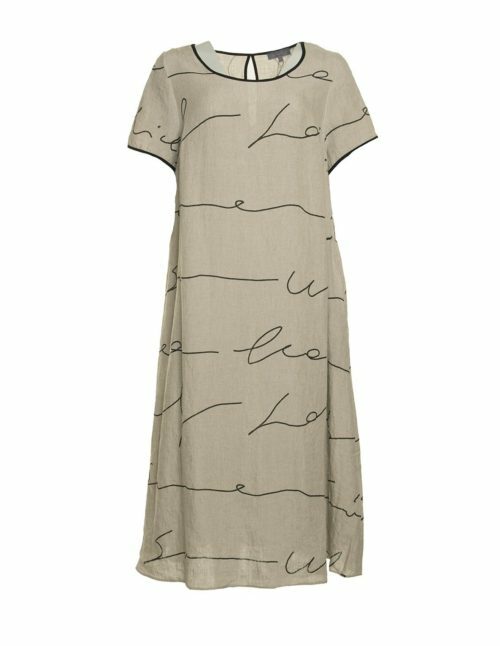 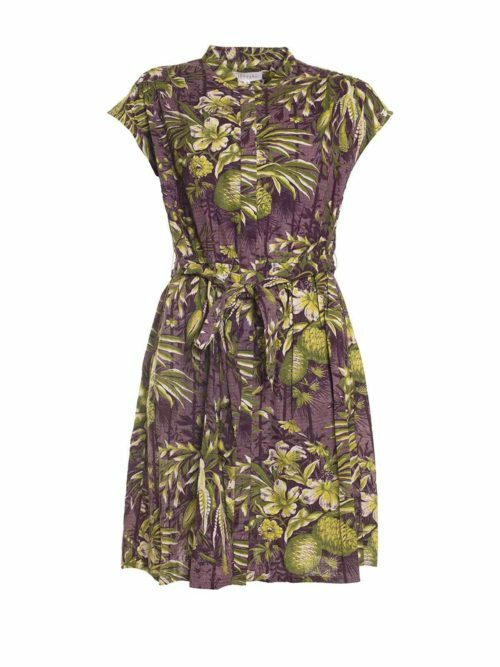 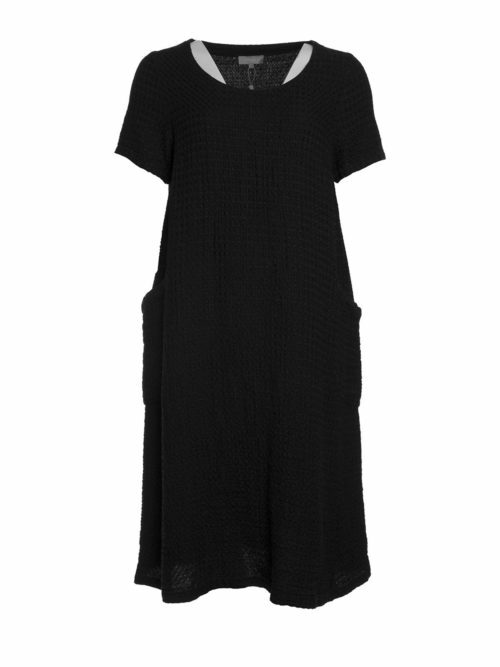 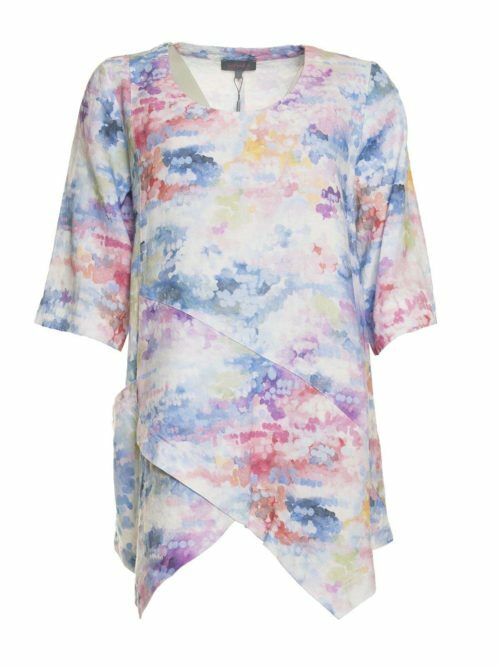 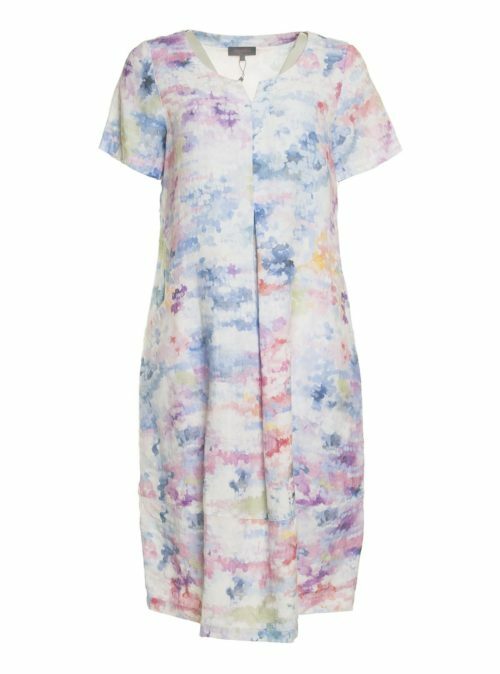 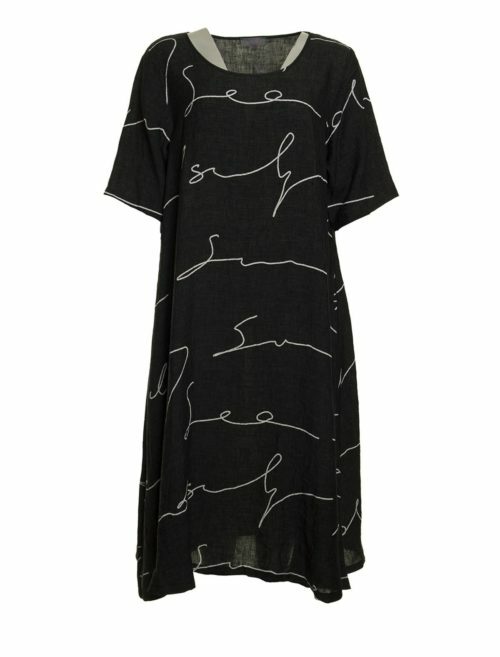 This versatile piece can be worn open, layered over trousers and a vest top or t-shirt, or closed, as a dress. Fabric: 96% linen, 4% polyamide. 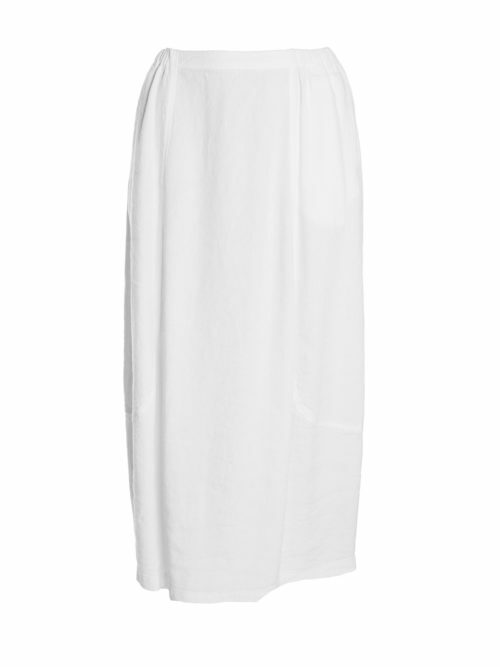 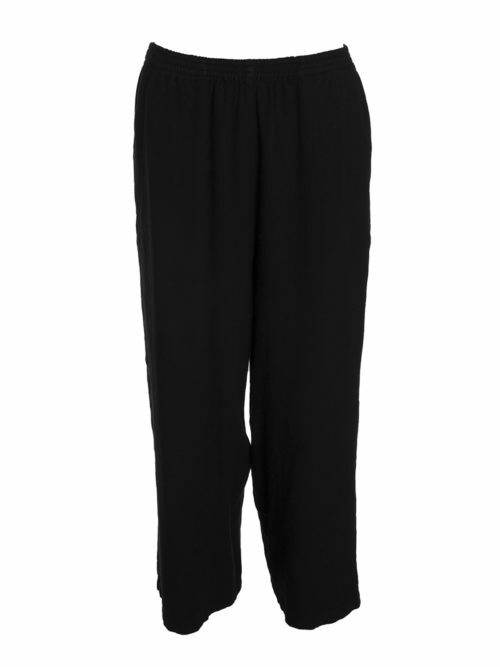 Measurements (size 3/medium): underarm, seam to seam 56cm; back length 114cm.